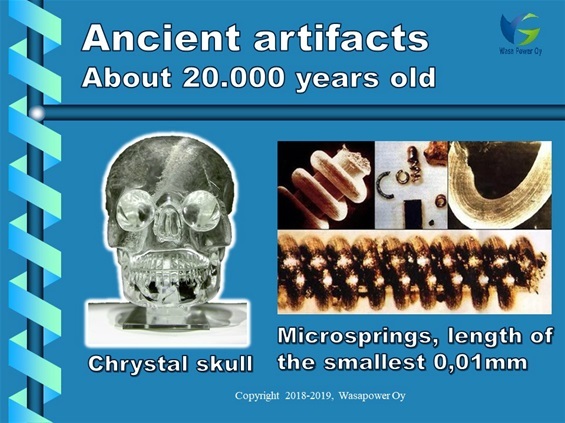 Archaeologist, rethink facts against this simply drawing. As for instance Göbekli Tepe, pyramids in Bosnia and many other targets. Between second and 3rd period there was an impact of meteorite swarm, which partly turned the rotation angle of the earth, by turning the mantle over the interior, from earlier 28°. Göbekli Tepe was buried probably between 3rd and 4th period. Between the 4th and 5th period there was a new impact of a meteorite swarm. This turned the mantle of the earth and the earth axis to the present angle of about 23,5° and caused a huge global dust cloud, which then led to enormous rains and the global Flood - Noah`s Ark. 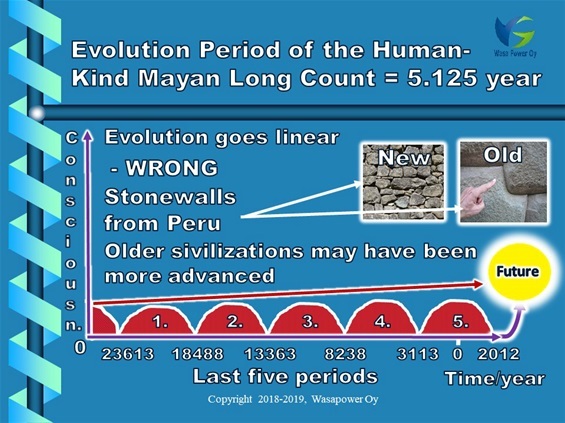 Human sivilization has almost destroyed itself, close to every 0-point. The reason of destruction has always been the low consciousness of the human sivilization. The low consciousness is the same as poorly functioning spiritual multidimensional part of our DNA. Before last 0-point 2012 we were very close to the nuclear war. Sovjet Union`s surprising fall 1991 saved us. Without this we were dead, as were all life on planet Earth. At certain time in history human consciousness has been very high, DNA functioning with 50% efficiency. Humans could then manipulate physics via consciousness - Merkabah-, this may be from that time.